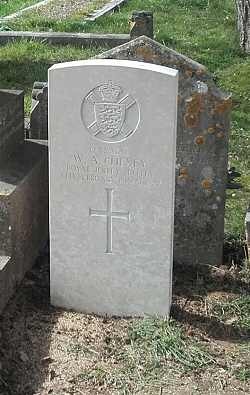 Died at the General Hospital Jersey of double pneumonia, aged 26 years. Death of a Militiaman. We regret to have to record the death of another Militiaman Corporal W Cheney of the 3rd or Town Battalion RMIJ which occurred early yesterday morning at the General Hospital from double pneumonia. The deceased was very popular with his comrades and the news of his death came as a great shock to his many friends, especially as he had only been admitted to the hospital a couple of days previously. The Corporal had for several years past been employed by the Victoria Dairy and had been exempt from military duty for some time. About 2 weeks ago he resumed his duty with his Company and contracted a cold which he was unable to shake off and gradually getting worse he passed away as stated. To the deceased's relatives and friends we beg to offer our sincere sympathy in their bereavement. The funeral of the late Corporal Cheney will take place tomorrow afternoon with full Military Honours the cortege leaving the Parade at 3.00pm for St Marys & St Peters Church where the first portion of the burial service will take place, the interment being at Almorah Cemetery. Memorial to a Militiaman. So highly respected was the late Corporal Walter Cheney of A Company 3rd Battalion RMIJ who, it will be remembered, died through contracting a chill whilst on Outpost duty, that the officers, NCOs and men of the Company have decided to erect a memorial stone on his grave. 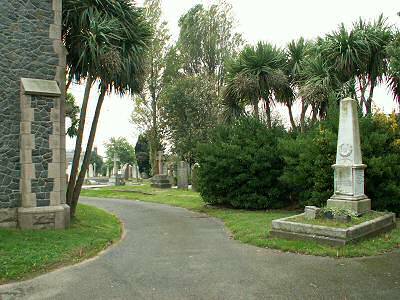 The work was placed with Mr Gulliver and the stone, which has now been completed, will be placed over the Corporal's grave at Almorah Cemetery within the next few days. Corporal Cheney Buried with Full Military Honours - Large Crowds Pay Last Respects to Popular Militiaman. With all the impressiveness associated with military obsequies the mortal remains of the late Corporal Walter Cheney of "A" Company 3rd Battalion RMIJ were laid to rest yesterday afternoon at Almorah Cemetery. The news of the popular Corporal's death on Sunday has cast quite a gloom over the Town Battalion and also amongst the deceased's many friends in St Helier, for it was hard to realise that the militiaman who only a few days before was doing military duty had now passed away, the result, it is believed, of a chill contracted whilst on outpost duty at a remote spot in the country. It is therefore not surprising that large crowds lined the streets and were present at the church and graveside to pay their last respects to one, who though he had not died on the Field of Battle had still lost his life whilst carrying out his duty. The mourners met at the residence of the deceased's uncle, Mr J Donoghue of 8 The Parade at 2 o'clock and shortly afterwards the procession left for St Mary and St Peters Church led by the firing party, the smartness of which party was generally remarked upon, next came the brigade band and a representative detachment of the Town Battalion who had gathered to pay their last tribute to their comrade's memory, "A" Company being strongly represented. The gun carriage followed next, this being provided by "A" Battery, the coffin was covered with the Union Jack on which rested the deceased's hat, belt and side arms and a number of floral tributes. Following the gun carriage were two mourning coaches, and the procession wended its way via King Street and New Street to Vauxhall, the band playing suitable music en route. At the church the cortege was met by the Reverend Father J Hourigan who conducted the sacred rites at the church and the graveside with all the impressiveness of the Roman ritual. At the conclusion of the religious service at the graveside the usual three volleys were fired and the Last Post sounded by the buglers.